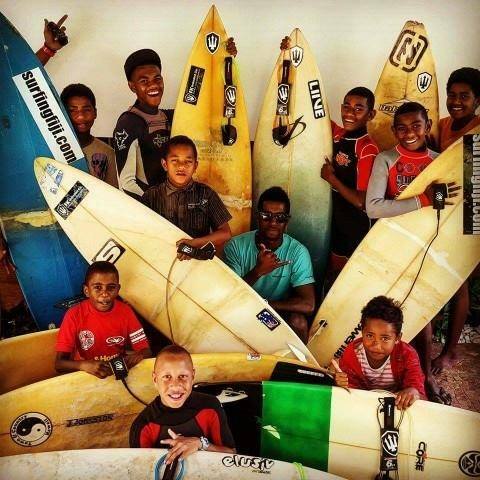 SAN DIEGO, CA—Matanivusi Surf Resort in Fiji, the world’s first surf resort to be certified as sustainable by STOKE Certified in 2014, is now the first to be recertified for their continued efforts in sustainability management, environmental conservation, and community development. For a detailed list of Matanivusi’s best practices with photographs, visit their STOKE Certified profile here: http://www.stokecertified.com/members/matanivusi-surf-resort/. To book your trip to Matanivusi Surf Resort, visit http://surfingfiji.com or contact info@surfingfiji.com. Founded by Carl Kish and Dr. Jess Ponting, STOKE (Sustainable Tourism Operator’s Kit for Evaluation) Certified is the world’s first sustainability certification program specific to surf and ski tourism. In addition to verifying the legitimacy of sustainability claims by operators and providing transparency for the public through its certification program, STOKE offers additional services for operators to enhance their sustainability management system including consulting, marketing, and project management services. STOKE has member properties in Fiji’s Mamanuca Islands and the Coral Coast, the Mentawai Islands, Costa Rica, Liberia, Panama, Baja California, the Telo Islands, the Philippines, and Hawaii. For more information, go to http://www.stokecertified.com/.